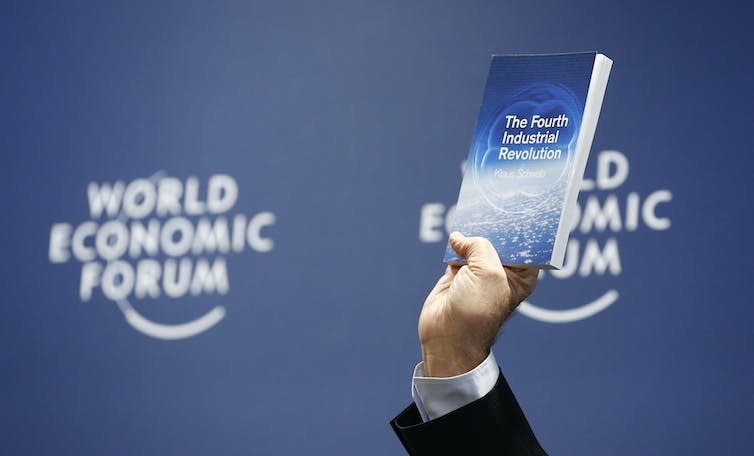 Klaus Schwab, the World Economic Forum founder, holds his book about the Fourth Industrial Revolution. Klaus Schwab, the founder of the World Economic Forum, argues that the single most important challenge facing humanity today is how to understand and shape the new technology revolution. What exactly is this revolution, and why does it matter, especially for Africa? The “fourth industrial revolution” captures the idea of the confluence of new technologies and their cumulative impact on our world. Artificial intelligence can produce a medical diagnosis from an x-ray faster than a radiologist and with pinpoint accuracy. Robots can manufacture cars faster and with more precision than assembly line workers. They can potentially mine base metals like platinum and copper, crucial ingredients for renewable energy and carbon cleaning technologies. 3D printing will change manufacturing business models in almost inconceivable ways. Autonomous vehicles will change traffic flows by avoiding bottlenecks. Remote sensing and satellite imagery may help to locate a blocked storm water drain within minutes and avoid city flooding. Vertical farms could solve food security challenges. The machines are still learning. But with human help they will soon be smarter than us. The first industrial revolution spanned 1760 to 1840, epitomised by the steam engine. The second started in the late 19th century and made mass production possible. The third began in the 1960s with mainframe computing and semi-conductors. The argument for a new category – a fourth industrial revolution – is compelling. New technologies are developing with exponential velocity, breadth and depth. Their systemic impact is likely to be profound. Policymakers, academics and companies must understand why all these advances matter and what to do about them. So why does the fourth industrial revolution matter so much – specifically for Africa? And how should the continent approach the risks and opportunities? Rapid technological advances in renewable energy, fuel efficiency and energy storage not only make investments in these fields increasingly profitable, boosting GDP growth, but they also contribute to mitigating climate change, one of the major global challenges of our time. Some countries’ growth trajectories may follow the hypothesised Environmental Kuznets Curve, where income growth generates environmental degradation. This is partly because natural capital is treated as free, and carbon emission as costless, in our global national accounting systems. The hypothesised Environmental Kuznets Curve. New technologies make it possible to truncate this curve. It becomes possible to transition to a “circular economy”, which decouples production from natural resource constraints. Nothing that is made in a circular economy becomes waste. The “Internet of Things” allows us to track material and energy flows to achieve new efficiencies along product value chains. Even the way energy itself is generated and distributed will change radically, relying less and less on fossil fuels. Perhaps most importantly for African countries, then, renewable energy offers the possibility of devolved, deep and broad access to electricity. Many have still not enjoyed the benefits of the second industrial revolution. The fourth may finally deliver electricity because it no longer relies on centralised grid infrastructure. A smart grid can distribute power efficiently across a number of homes in very remote locations. Children will be able to study at night. Meals can be cooked on safe stoves. Indoor air pollution can basically be eradicated. Beyond renewable energy, the Internet of Things and blockchain technology cast a vision for financial inclusion that has long been elusive or subject to exploitative practices. No revolution comes without risks. One in this case is rising joblessness. Developing countries have moved away from manufacturing into services long before their more developed counterparts did, and at fractions of the income per capita. Dani Rodrik calls this process “premature deindustrialisation”. The employment shares of manufacturing, along with its value addition to the economy, has long been declining in industrialised nations. But it’s also been declining in developing countries. This is unexpected, because manufacturing is still the primary channel through which to modernise, create employment (especially by absorbing unskilled labour) and alleviate poverty. Manufacturing industries that were built up under a wall of post-independence protectionism are starting to decompose. Rodrik D, ‘Premature deindustrialisation’, Journal of Economic Growth, 21, 2016, p. 19. The social effects of joblessness are devastating. Demographic modelling indicates that Africa’s population is growing rapidly. For optimists this means a “dividend” of young producers and consumers. 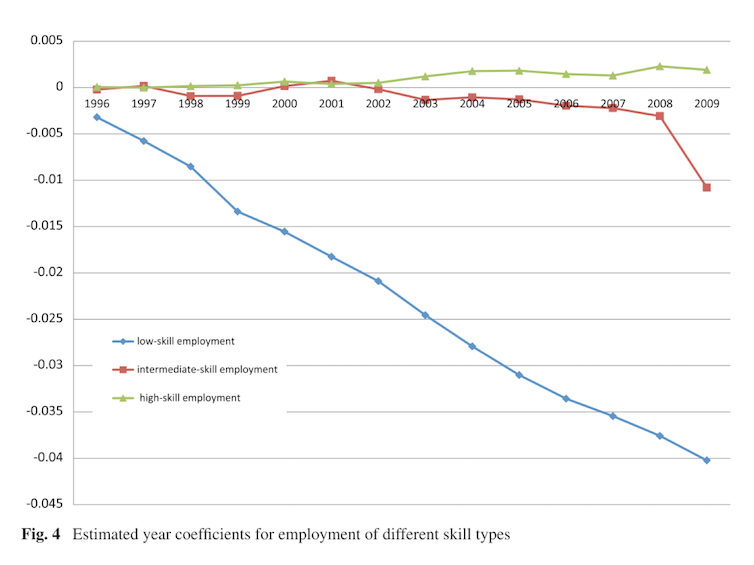 For pessimists, it means a growing problem of youth unemployment colliding with poor governance and weak institutions. New technologies threaten to amplify current inequalities, both within and between countries. Mining – typically a large employer – may become more characterised by keyhole than open heart surgery, to borrow a medical metaphor. That means driverless trucks and robots, all fully digitised, conducting non-invasive mining. A large proportion of the nearly 500 000 people employed in South African mining alone may stand to lose their jobs. Rising inequality and income stagnation are also socially problematic. Unequal societies tend to be more violent, have higher incarceration rates, and have lower levels of life expectancy than their more equal counterparts. New technologies may further concentrate benefits and value in the hands of the already wealthy. Those who didn’t benefit from earlier industrialisation risk being left even further behind. So how can African countries ensure that they harness this revolution while mitigating its risks? African countries should avoid a proclivity back towards the import substitution industrialisation programmes of early independence. The answer to premature deindustrialisation is not to protect infant industries and manufacture expensively at home. Industrialisation in the 21st century has a totally different ambience. In policy terms, governments need to employ systems thinking, operating in concert rather than in silos. Rapidly improving access to electricity should be a key policy priority. Governments should view energy security as a function of investment in renewables and the foundation for future growth. More generically, African governments should be proactive in adopting new technologies. To do so they must stand firm against potential political losers who form barriers to economic development. It pays – in the long-run – to craft inclusive institutions that promote widespread innovation. There are serious advantages to being a first mover in technology. Governments should be building clear strategies that entail all the benefits of a fourth industrial revolution. If not, they risk being left behind. Following the interview on Cliffcentral.com two weeks ago on innovation during The Leadership Platform show, I was asked to return. This time the conversation was about technology. You can download the podcast here. After 30 minutes, the attention switched to a small and medium enterprise. I had invited Daniel Paulus, one of my clients, to the show to be interviewed. Daniel is one of the founders of the Louie Daniel jewellery company, a speciality retailer of custom made jewellery and diamonds. They are one of the leadership teams that I have been coaching on technology, innovation, strategy and culture. I promise to reveal more about my formal coaching programme shortly. If you want to feel inspired by a great story of innovation, then take a look at the great post by Morgan Housal. It is about the Wright Brothers and the consequences of their innovation and also their vision. If you are inspired by this story, you will also enjoy the Knowledge Project Podcast where Shane Parish from the Farnhamstreet blog interviews Morgan about his way of reading, writing and doing research before writing. You can find the podcast here . From his writings I have learned how to filter a lot of information, and how to supplement what trusted sources claim by my own research. For instance, I have unsubscribed from many newsletters and now only read curated news sources that I trust. I was asked by one of the regular readers by this blog to share more what I am reading. So here goes a short list of articles that I have read and found interesting for my work in the last week. I was also asked to share my Christmas booklist, but that will have to wait for a few more days. One of the leading scholars on the topic of industrialization is Prof Dani Rodrik. Two of his recent blogposts are relevant for the readers of my blog. The most recent post by Prof Rodrik is titled “Premature deindustrialization in the developing world“. In this article he explains that industrialization is affecting the developing world more than the industrial world. This is a brilliant read. The full NBER paper that his blog post is based on can be found here. 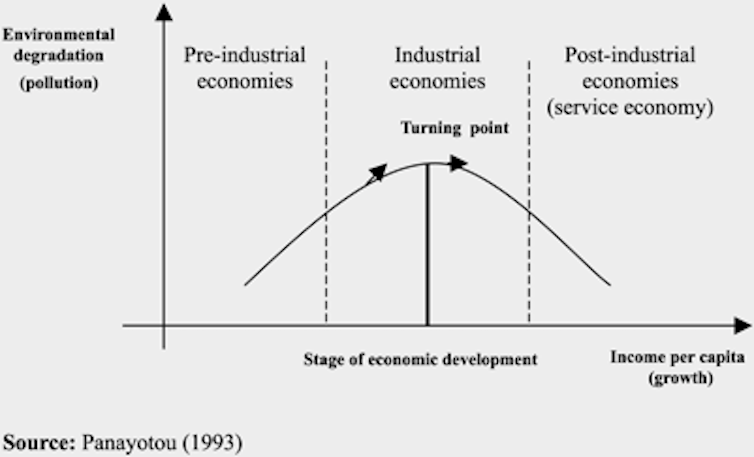 Another recent post by Prof Rodrik is about services, manufacturing and new growth strategies. In a presentation that he mentions in this post he argues that many developing countries are focusing too much on unproductive small enterprises that face high costs, but that these same small enterprises often absorb low skilled labour. If I say anything more I will most likely mess up his argument, so take a look for yourself! In the last two years we (Mesopartner) have been exploring how complexity science affects development practice. Well, we were quite shocked to realize how much of development is based on preference and bias, and how little is actually based on proper scientific research. Frequently practitioners takes little bits and pieces of different theoretical bases to create a construct of an approach that is suitable to them because it meets their own hypotheses of how the world works. It is important also to not confuse evidence based monitoring and evaluation with scientific evidence. The famous economic thinker, Gregory Mankiw, has published an article in the New York Times where he goes into this topic with his usual easy to understand arguments. The title of his article is “when the scientist is also a philosopher”. He argues that a danger of economics (I would argue of all economic development) is that we are not aware of our bias, and we do not depend on proper scientific methods. He recommends that we offer our advice with a healthy dose of humility, as we are often not aware of how complex the economy is and how our advice will affect other systems, or whether our advice will work at all. Gregory Mankiw was a great inspiration for me during my PhD research and I am grateful to have stumbled across this article. He is currently an economics professor at Harvard. I am humbled that Tim Kastelle has quoted a paragraph from a recent blog I wrote in an article he just published on Change and why it is simple but not easy. For my students and online learners, I recommend that you also subscribe to Tim’s blog as he deals with many issues relating to innovation and especially business model innovation.